Well done, correct. ))) Have you seen her in person? Is that a recent photograph? Is the ship still afloat? José M. Rico wrote: Is that a recent photograph? Is the ship still afloat? 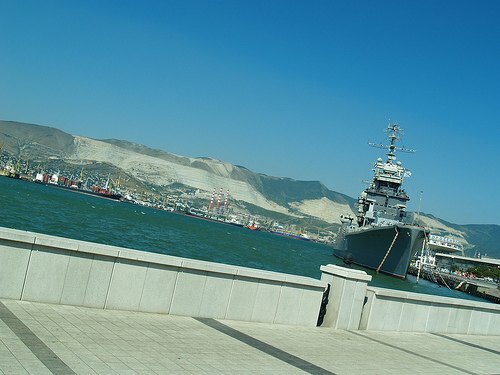 I took this photograph last year in August when visiting Novorossiysk. Unfortunately I did not get on to the ship despite its museum status because of repair works. Going to Anapa and Novorossiysk again in about a month, so if I get anymore photographs, or get to board the ship, I'll post the pictures here. 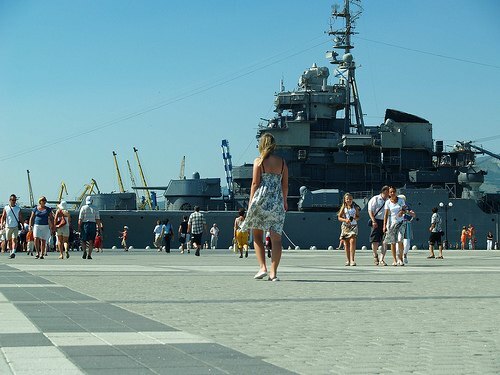 You can find her on Google maps if you type in 'Novorossiysk' and look at the ships in the harbor, the guns are quite distinctive even on Google. Oberwarrior wrote: Well done, correct. ))) Have you seen her in person? I must admit I had no idea this ship was preserved as a museum. I thought HMS Belfast was the last ship of its kind still around. It's great to learn new things everyday! that´s an nice looking ship indeed! I envy you for having the oportinity of being there. that´s an nice looking ship indeed! I envy you for having the opportunity of being there. Here is another view of the Kutuzov, I did not upload this for the quiz because the side on profile might have made it to easy to guess. 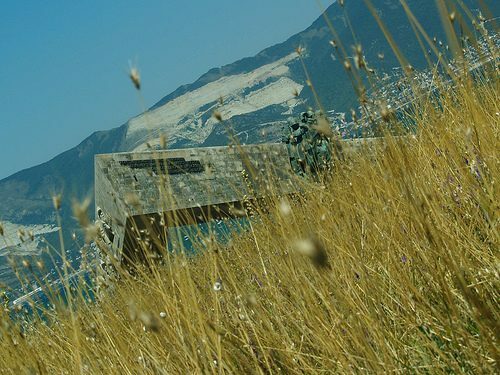 This is the war memorial at Novorossiysk, this photograph does not really give an impression of the memorials size, its a massive structure that sits on the water front overlooking the harbor. There is a museum inside the monument, but I don't have any photograph of this out of respect. José M. Rico wrote: I must admit I had no idea this ship was preserved as a museum. I thought HMS Belfast was the last ship of its kind still around. It's great to learn new things everyday! Likewise I must also confess to this, I was on holiday in Anapa last year and my wife started telling me about this ship in Novorossiysk (Anapa's about 50 miles from Novorossiysk) so I arranged to visit her. Nice pictures. Thanks for the posts, Oberwarrior. RF wrote: Nice pictures. Thanks for the posts, Oberwarrior. Please post them here if possible.